Maintaining the largest fleet of spray foam-dedicated trucks in the Northeast, Anderson Insulation is your regional spray foam powerhouse. Spray foam’s high R-value and built-in air sealing qualities make it a top pick for new construction and remodeling work. Anderson deals in both closed-cell and open-cell spray foam to make sure we offer the best products to suit your individual project. A close, longstanding partnership with renowned spray foam manufacturer Icynene® has led us to become one of the largest Icynene® spray foamdealers in the world, with 10 Icynene® Dealer of the Year honors. Together, Anderson and Icynene® have been pioneers in New England’s quest for comfort against cold, blustery winters. The architects, builders and homeowners we work with appreciate Icynene®’s extensive testing and overall reliability. Areas such as basement foundation walls, marine applications, refrigeration and other cold, moisture-prone spaces are ideal candidates for high R-value (R-7 per inch), closed-cell spray foam. 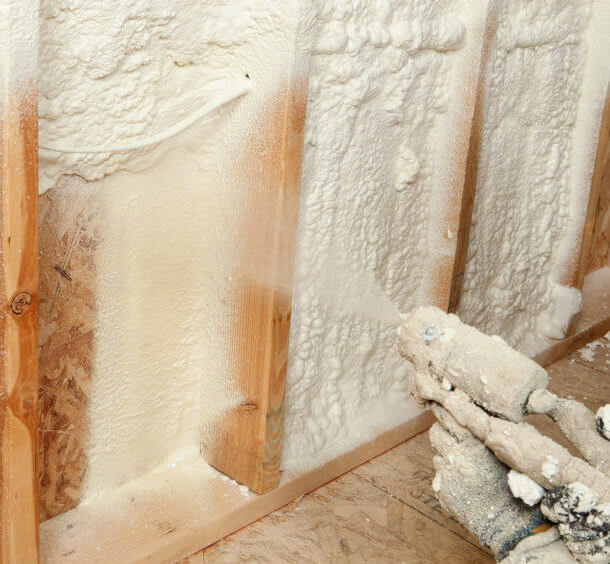 Closed-cell spray foam is type II vapor retarder, keeping vapor out while keeping conditioned air in. Its tight, solid design also improves indoor air quality and serves as a pest and allergen deterrent. 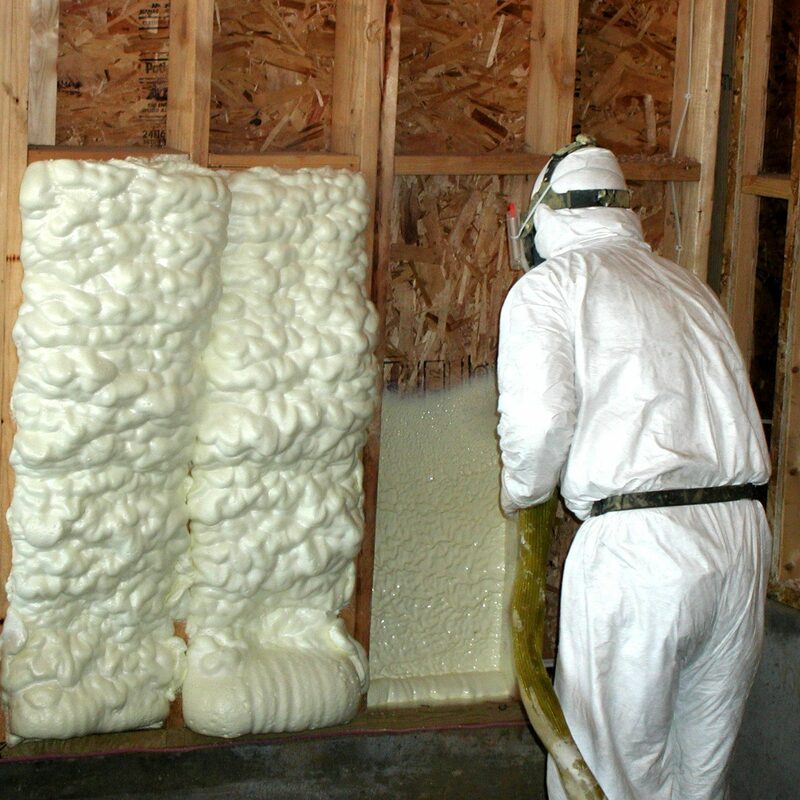 While maintaining very similar properties to its closed-cell brother, open cell spray foam is 100% water blown. This means it has a Global Warming Potential of 1 and has low VOCs. It also has a different R-value (R-4 per inch), and it is only a type III vapor retarder. If a type II vapor retarder is required per code, a paint may be applied over the foam to meet this requirement. Icynene®’s Classic® product has been applied in over 500,000 homes in North America and is the industry’s leading open cell product both in quality and testing.